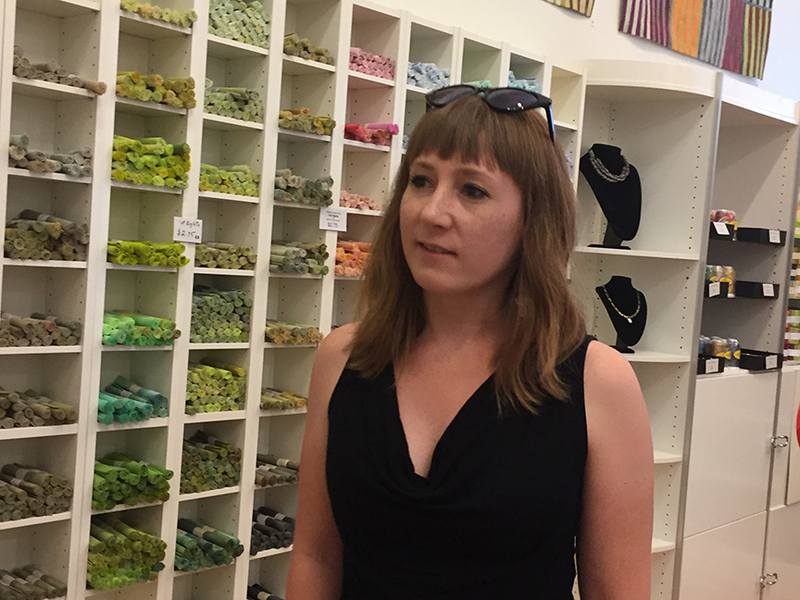 Jones, a textile artist and Assistant Professor of Textiles at Georgia State University in Atlanta, Georgia, began her 30-day residency on June 1. She is also an Affiliate Faculty member with the Institute of Women, Gender and Sexuality Studies. Jones received an MFA in Fibers from East Tennessee State University with an undergraduate background in Painting, Drawing, and Printmaking. Jones will present an Art Talk on her recent work and facilitate an open discussion at the McCracken County Public Library at 555 Washington Street, this Friday, June 24 at 3 pm. The public is also invited to view an exhibition of her Paducah projects at StudioMars, 418 N 7th Street in the Lowertown Arts District, at an Opening Reception on Monday, June 27, from 5-7 pm and Tuesday, June 28, from noon-5 pm. 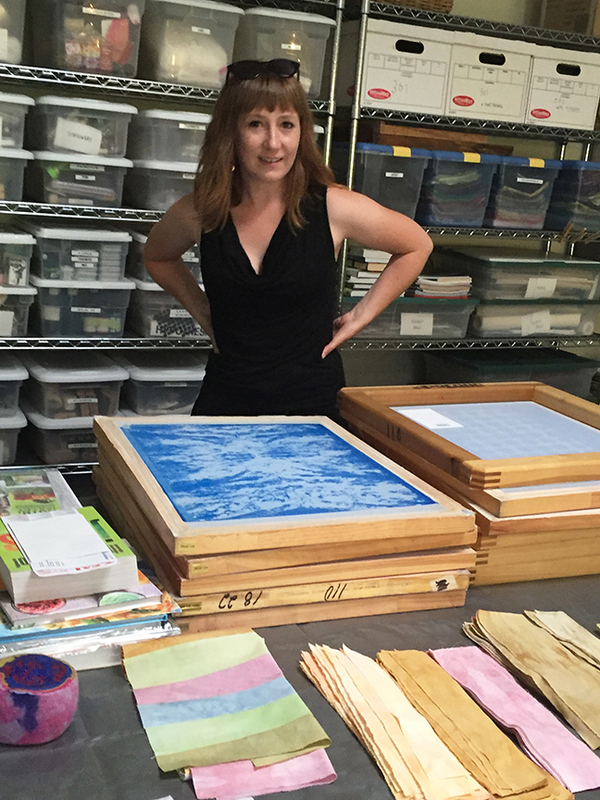 As an UNESCO Creative City of Crafts and Folk Arts and home to the National Quilt Museum of the United States, PAA’s month-long artist residency program was the perfect lure for Jones to immerse herself in a mutually beneficial creative experience. Her work was recently featured in Forget Me Not, a group show at the Zuckerman Museum of Art in Kennesaw, Georgia, and will be part of an upcoming exhibit, Between: Perception in Patchwork, at the Textile Society of America Conference in Savannah, Georgia this October. Artists participating in the residency program are required to engage with the community through exhibitions, workshops, public lectures and/or collaborative projects with local artists. During her residency, Jones has shared her work with the Paducah Fiber Artists group and networked with Judy Schwender, curator of the National Quilt Museum, in addition to creating her Paducah work that will be on exhibit at StudioMars. 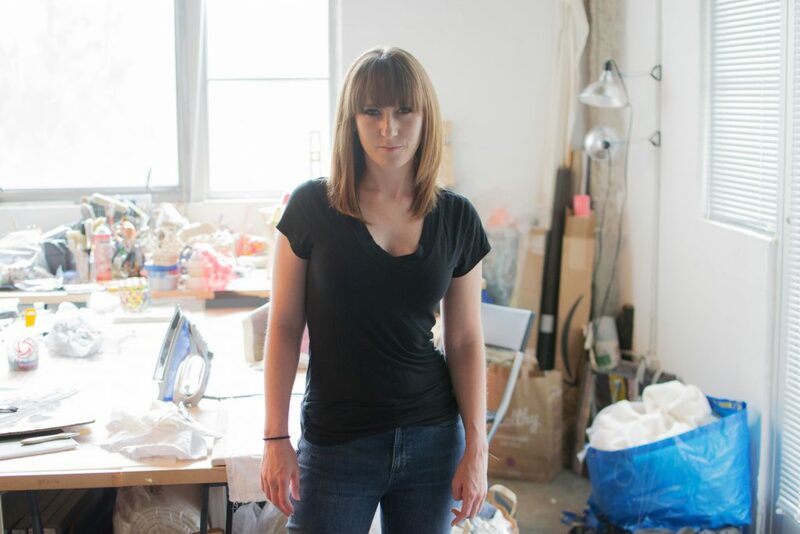 More about the artist and samples of her work can be found on her website, jessjones.net. To arrange an interview, contact Rosemarie Steele or the artist directly via email at breakfastinfur@gmail.com.